In case you were living under a rock yesterday, Apple unveiled a new MacBook. Not a MacBook Pro or MacBook Air (though it’s thinner than either! ), just a good old MacBook for the masses. Because it’s so darn thin, Apple had to reduce the number of ports to only two: a headphone jack, and a new USB Type-C port (USB-C for short). There’s not even a separate power connector; USB-C handles that. Before you go on thinking Apple’s invented another proprietary connector, however, that’s not quite it – the company worked in conjunction with several others, including Intel and Microsoft, to develop the standard. New MacBook notwithstanding, USB-C is even small enough for your next cellphone. It measures 8.4 mm wide and 2.6 mm thick, which is only slightly larger than the Micro USB port on most phones or the Lightning connector Apple uses on its new iPhones and iPads. It’s also smaller than the USB Type-A connectors that typically adorn our laptop’s edges, which could mean more ports on smaller laptops (though Apple clearly took the minimalist route). Of course, the rub is you can’t connect your old accessories without an adapter. Sure, USB has been powering our cellphones and tablets for ages, but USB-C can handle full-fledged laptops now too. Operating on the new USB Power Delivery v2.0 standard, USB-C set-ups are able to draw up to 5 amps at 20 volts (100 watts). In plain English, that should be enough to power all but the beefiest laptops. Apple’s most powerful MacBook Pro chargers are 85 watts. USB-C chargers could also top up cellphone batteries more quickly, and bidirectional functionality means you can send power both to and from a device, depending on what you need. Don’t let the small size fool you, USB-C can handle more data than its current larger brethren. The USB 3.0 standard used in today’s laptops is more than quick enough for most people, with speeds of up to 5 Gbps. But USB-C supports the newer 3.1 standard, which doubles that maximum data throughput to 10 Gbps (although the new MacBook is still maxed out at 5 Gbps). This matches Apple and Intel’s original Thunderbolt standard, although it’s only half of Thunderbolt 2. Still, it manages those high speeds with a much smaller connector. USB-C can function as a gateway for a variety of other connection standards, using something called an “Alternate Mode.” This feature essentially dedicates some of the cable’s wires to transmitting data for other protocols. 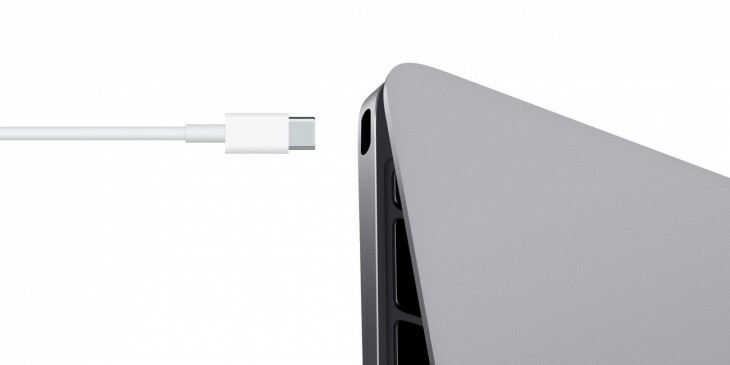 On the new MacBook, for instance, the USB-C connector can operate HDMI, DisplayPort and VGA connections in addition to the aforementioned power and USB data. You’ll need a special dongle, though. Finally. For something so ubiquitous, it’s kind of ridiculous that it’s taken so long for a reversible USB port to come along. It doesn’t just mean that you can connect it upside down either – unlike most current USB cables, its connectors will generally be the same on both on both ends. On the negative side, this means the imminent death of many an internet meme. …there are some caveats. The most obvious being that – for now – it’s a another type of cable to embarrassingly ask to borrow from your friends, only to be disappointed when no one has one. There’s a more subtle issue too. While USB-C can handle all the things listed above, that doesn’t mean every port has to. Not all connections will feature high power delivery, for instance. Heck, some USB-C connectors may only support USB 3.0 or – goodness forbid – 2.0 data rates. Manufacturers will have to be clear about each individual port’s capabilities. Still, Type-C is the closest we’ve been to be a true universal connection for all your devices. And with Apple kicking off the party, adoption is likely to spread quickly. Just imagine a world where the same cable you power your laptop with could be used to charge your cellphone or connect your TV in a pinch. Wouldn’t that be nice?